Looking for the best WordPress template to build a professional sports website? Well, there’s no better item for you! 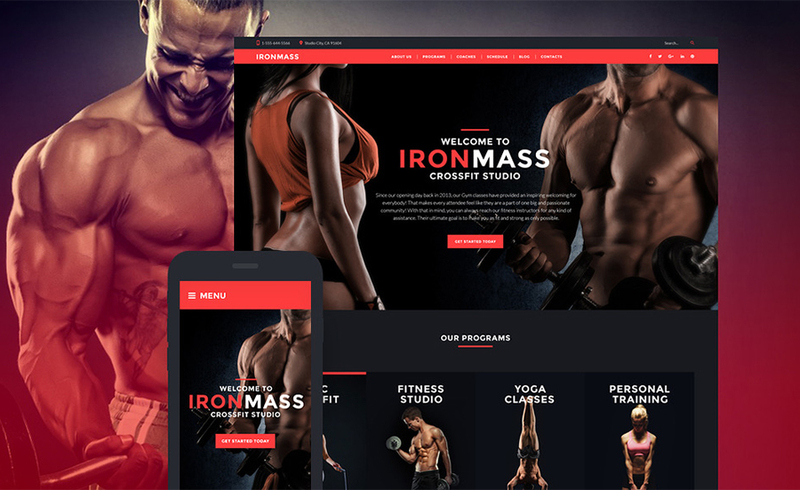 Please welcome the latest WordPress theme built with love for powerlifting and fitness – IronMass. 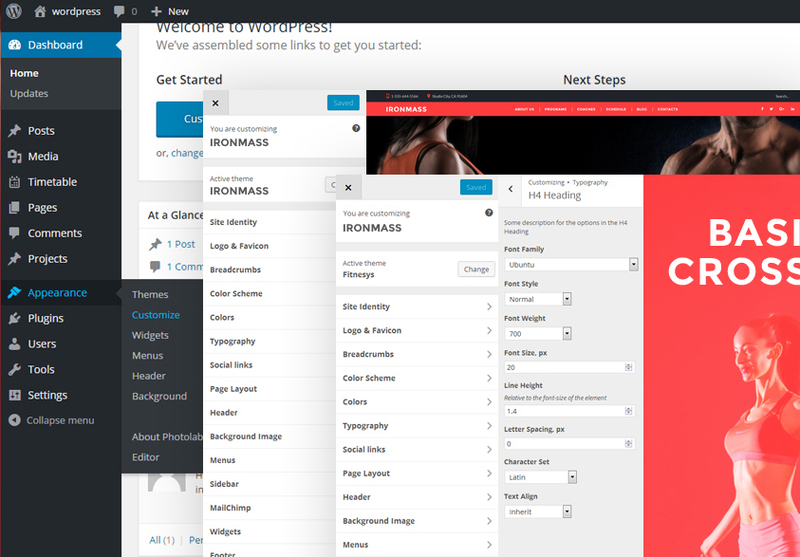 The IronMass WordPress theme has one serious ace up its sleeve. 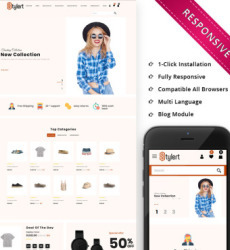 This template is licensed under GPL v3.0. It means that you are allowed to install it on the unlimited number of domains. Just imagine, you can build a whole new website by only tweaking this theme here and there. What kind of projects will it fit? Well, IronMass is a perfect choice for any kind of sports-related online resources. Use it for bodybuilding gyms, fitness centers, or yoga studios. The color palette in black and red is all about the muscle and power. White fonts stand out well to make people notice your website among the competition. Also, you may throw in some high-quality images and build stunning galleries. Thought-out content structure will draw the attention to the information you want to emphasize. Another pleasant benefit is a bunch of social media widgets incorporated into the theme. Social network integration is the best way to keep in touch with your viewers and share the latest news. This theme is SEO-friendly, so a website, based on it, will get better rankings in search engines. Be sure, your online resource will be on the best positions in Google, Bing and other search systems. So, let’s go ahead and explore the functionality of this WordPress sports theme! Bet, you’ll find lots of features that might interest you. IronMass can boast a highly flexible drag-and-drop page builder dubbed ‘Power’. It will help you build a website fast and with minimum effort. There’s 25+ modules and a library of presets to help you cope with challenges you might face during customization. Save your time for doing more important things with ‘Power’ page builder. An array of layout variations will come in handy to build all kinds of web pages. 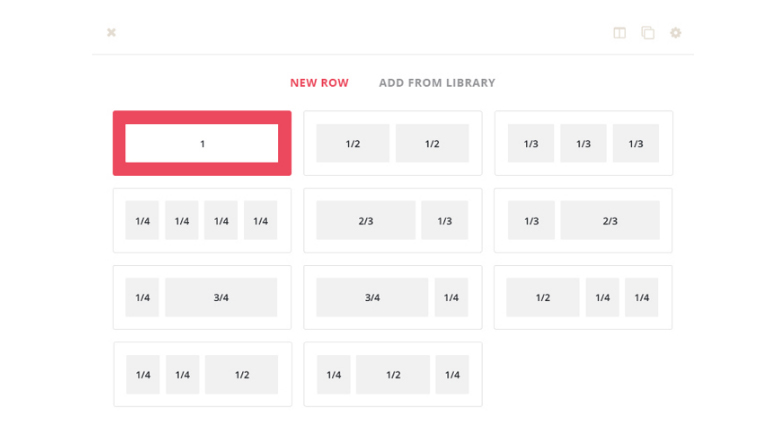 The pre-designed layouts library will be helpful in arranging the blocks of content. It’s possible to change the proportion and the number of blocks on the page the way you like it. Also, you can stock the best layouts in the library and reuse them whenever it’s needed. ‘Content modules’ is another useful feature to make your website look more diverse. These modules let you embed different content types. For instance, you can throw in some blog functionality, CTA buttons, audio/video files etc. And it takes only a click to embed all the desired content. Then you can make changes to the chosen module to adjust it to your project. There are two extremely useful features that will help you manage your business time with ease. 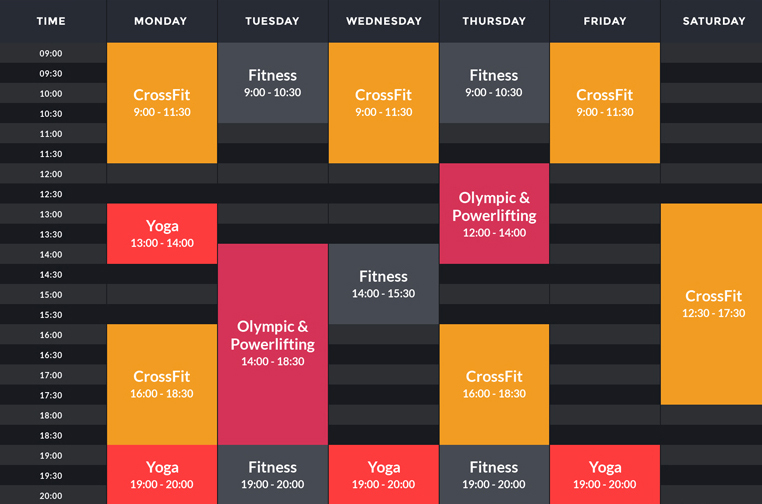 The Appointment Manager will help your clients to schedule appointments to the gym effectively. This plugin is intuitive and user-friendly, so there won’t be any problems in tweaking it the way you want to. Thanks to the Timetable plugin, it will be possible to display the time slots online. This will be of great help to schedule the appointments in real-time mode. Now, changing the time and shifting the cards by yourself in the timetable will be easy and fast. Making your website more appealing is possible thanks to a bunch of advanced custom widgets inside the IronMass WordPress theme. Using these widgets, you can set up a post carousel, a slider, embed your social media profiles, incorporate the newsletter subscription etc. Also, there’s a possibility to upload extra widgets on top of the existing ones. All the changes in the look and feel of your website are possible thanks to WordPress Live Customizer. Everything happens in real time. Each time you make any alterations in IronMass, you see them happening in real time. No need to reload the web page again and again or wait for the changes to upload. User-friendly navigation supplied with a Back-to-Top Button to get users back to the top of the page in a click. An integrated Commenting System for drawing more visitors into the discussions on the website. Over 500 Google Web Fonts will help youbuild a design that will fit your brand. 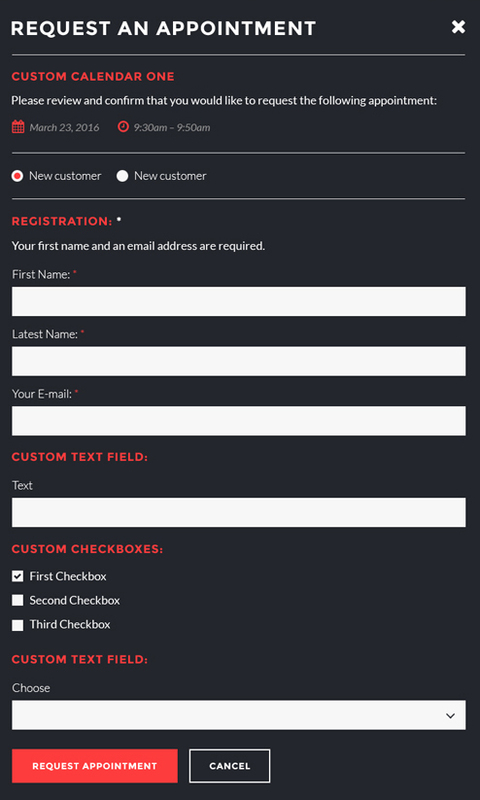 This sports WP theme has a fully responsive design. Thanks to this, your website will render well on any screen of any device. Based on Bootstrap framework, the IronMass WordPress theme is friendly to mobile devices. The WPML feature ensures the support of multiple foreign languages. 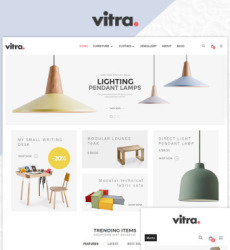 Being retina ready, the images you use on the website will have the same high quality. Thanks to the Audio Player and Video Integration option you can embed media content with ease. For your information, the images used in the demo version of the design are not supplied in the IronMass download package. They are just samples, so you might need to replace them with your own content! If none of the above has convinced you that this sports WordPress theme is the item for you, check out the testimonials page. Also, review the feedback from the clients who have used this theme for their Internet resources. My customer was looking for a template for his personal trainer job and find this great template. Unfortunately this template comes WITHOUT the showed images like in the demo but if you insert your own images it’s not a problem. 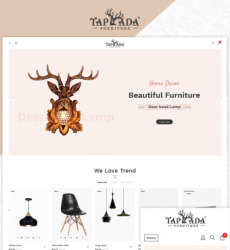 With this template your are able to build up a nice looking website in a couple of hours and if you have some questions about handling you can ask the technical support for free! All together a nice template. The theme comes packed with detailed documentation and instructions. This ensures you will install and set up IronMass WordPress theme without any trouble. Still, if you happen to have issues, you may address the free 24/7 support squad for help. 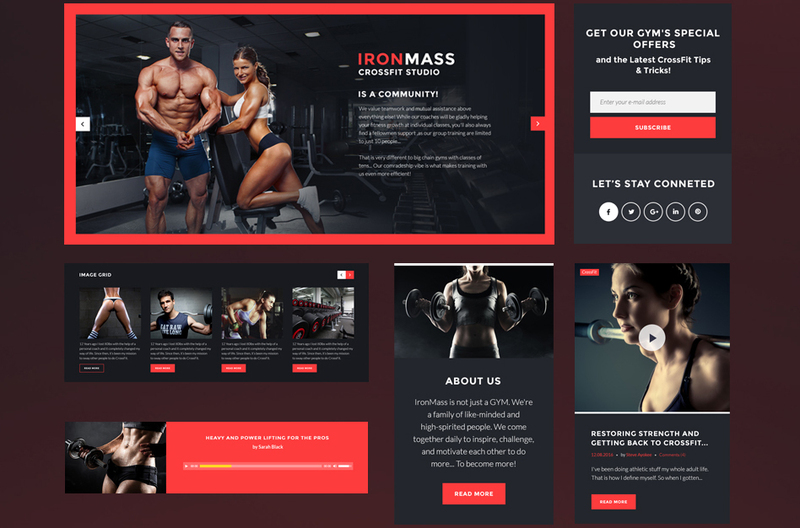 Look up this fitness WordPress theme and similar themes in the selection of the best WordPress Templates designed in 2016!